Do You Want To Please GOD? Here’s How. 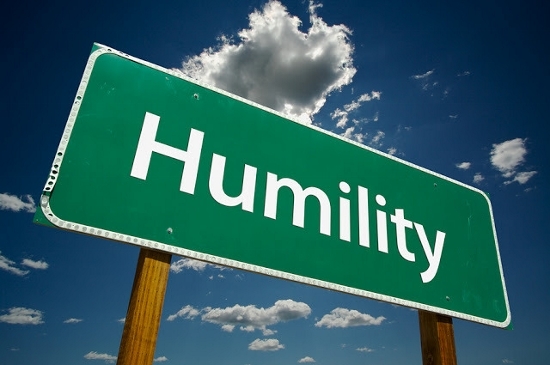 It pays to be humble… and to have humility. Humility pleases GOD… and makes Him proud of you. Fact is, GOD can work in your life better… when you’re broken – and when you’re humble enough to bow your heart, mind, body and spirit before Him – in reverence and surrender. In a sense, GOD is both, complex and simple, all at the same time. He is complex enough to where, “No man can know the mind of GOD”… and simple enough to where you can approach His throne of grace – and talk to Him one on ONE. I love those words simply because it helps me understand something very important. And that is, humility doesn’t worry about being noticed in public. In fact, humility is only a shadow, altogether, because it does its job… just so GOD can be noticed. REMEMBER to stay humble in all you do. The more you lose yourself in something bigger than yourself, the more power you will have to do bigger things that matter, to you – and to GOD.